Product prices and availability are accurate as of 2019-04-14 22:12:19 BST and are subject to change. Any price and availability information displayed on http://www.amazon.co.uk/ at the time of purchase will apply to the purchase of this product. 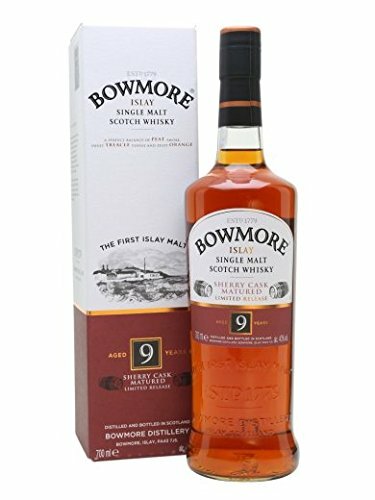 A new addition to the Bowmore range, this 9 year old has spent its life in a combination of Sherry and Bourbon casks from No.1 vaults. It has a lovely deep mahogany colour for a young whisky. On the nose there is cocoa, spice and Christmas cake with smoke. 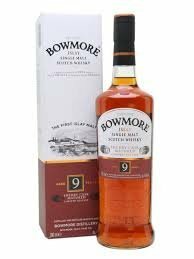 The palate is complex with rich dark fruits and sweet smoke balanced by sea salt and peat smoke. On the nose: Breathe in rich cocoa, pepper and raisins balanced with citrus tang and wisps of Islay smoke On the palate: Complex sherry with peat smoke followed by dark fruits and sweetness The finish: Savour the perfect balance of sea salt and peat smoke.